Initiated in 2008, efforts in promoting and building the Airship sector are now bearing fruit. Airship is now part of France’s “NEW INDUSTRIAL PLAN” and SAFE Cluster has been nominated by the Government as the national leader. Mission includes but is not limited to: management and outlining Airship program plan, identify key participants, locate sites to welcome airships prototypes, remove technological barriers, seeking funding, etc. Implement a project selection and certification process: four projects have been selected, mainly because of their submitted business model. 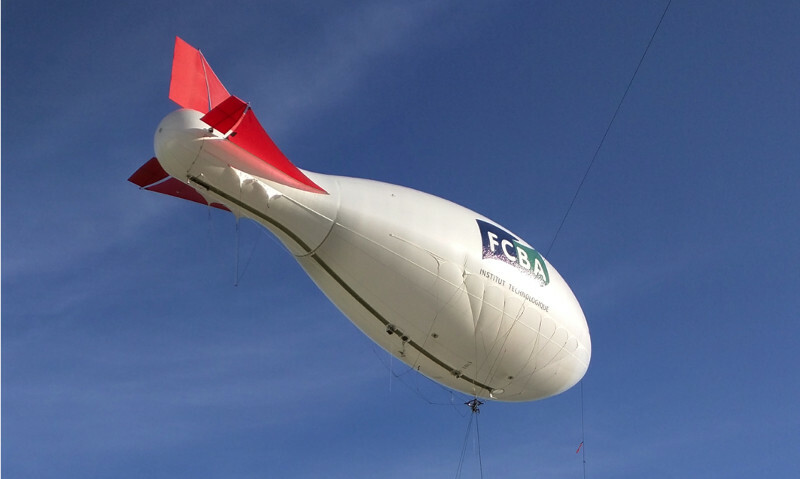 Increase reliability of potential markets: already performed market studies confirm a business potential of 1 to 2 billion €/year that can be accessed by the French airship industry. Master technological risks: French Aeronautic, Space and Defence Research Lab (ONERA) manages a roadmap on this matter, together with the French Government Space Agency (CNES) and French Alternative Energies and Atomic Energy Commission (CEA). 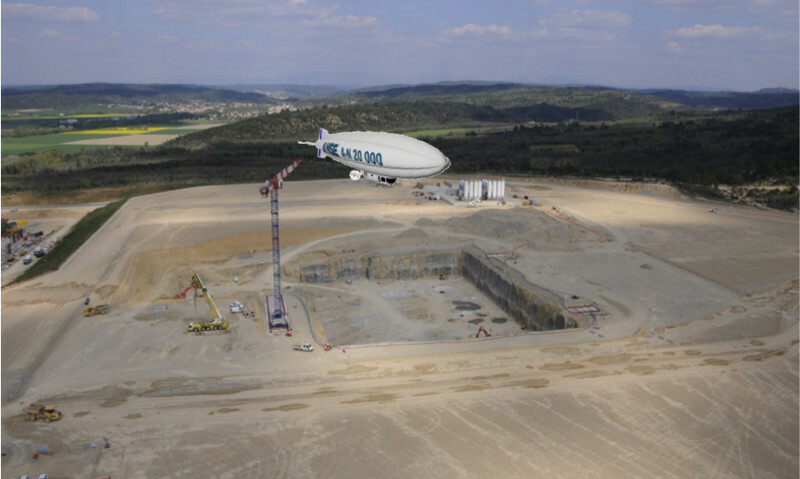 Industrial plant: along with SAN Ouest Provence intermunicipality, airship sector installation studies are ongoing in Istres. For these projects to be implemented and prototypes to be tested, the right industrial plant is needed. Ouest Provence aeronautics cluster will meet this requirement: it will be located in connection with the Istres air base (BA 125) and comprise several production buildings and premises over a total built surface area of 45,000 sq.m. on a 33 ha site. This new cluster will therefore be able to accommodate large airship prototypes. This is a “rigid” airship with a cargo hold or under-sling payload capacity of 60 metric tons and a cruising speed of about 100 km/h. It benefits from the same operational flexibility as a helicopter (point-to-point, overcoming the constraints of transport infrastructure or geographical obstacle, and loading/unloading its freight while hovering), but its operating cost per transported ton will be ten to twenty times lower than the latter. 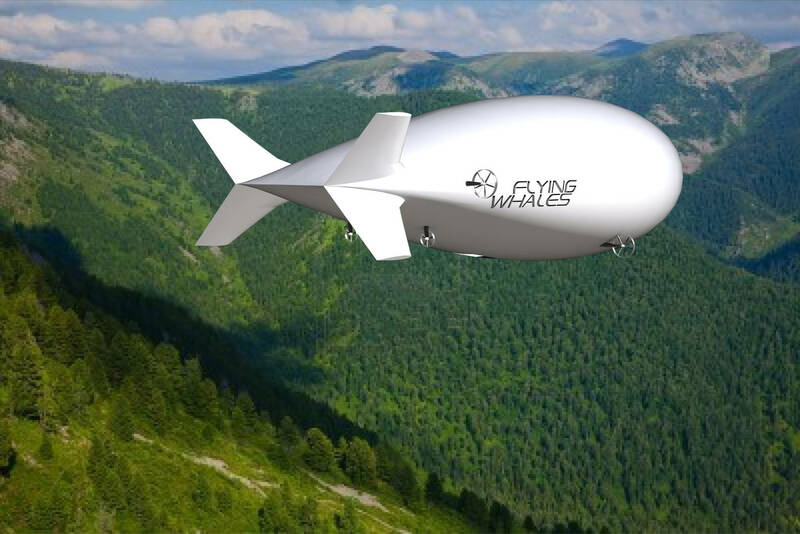 The large capacity Airship project “LCA60T” is being led by the company FLYING WHALES in partnership with ONF (French National Forest Agency), ONERA (French Aerospace Research Agency) and a consortium of Tiers1 aerospace group, SMEs and labs. Stratobus is an autonomous and permanent stratospheric airship, which will fulfill missions such as surveillance of borders or critical facilities, whether on land or at sea (video-surveillance of offshore platforms), military security (the fight against terrorism), environmental protection (forest fires, beach erosion, pollution monitoring, etc.) and telecommunications (providing Internet connectivity to the 3 billion people in the world without it). Likewise, Stratobus will provide autonomous direct telecommunication services for a given zone. 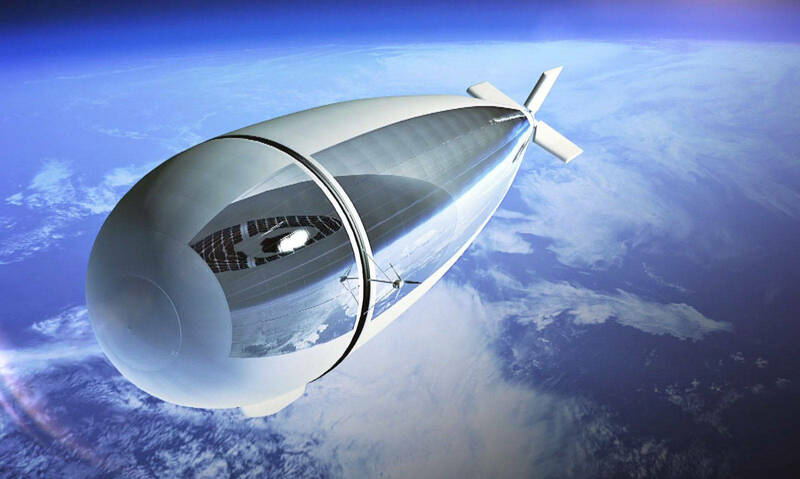 Stratobus is an ideal solution complementing satellite systems, in surveillance and territories observation. Thales Alenia Space is the industrial prime contractor and lead of group of partners working on this program. 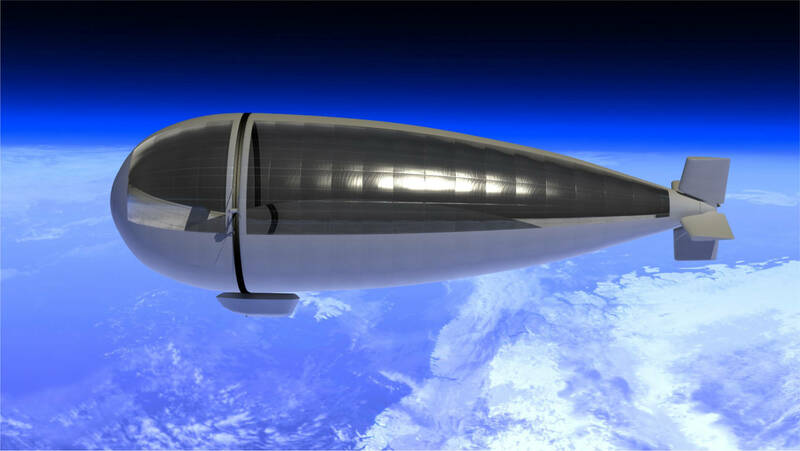 Stratobus earned 4 Clusters’ labels (SAFE, Aerospace Valley, Techtera, S2e2), as well as being certified by the General Investment Board for France’s Investment in the Future program (CGI/PIA PFPC). The Aerolifter project is being led by the company Airstar to develop produce and sell a wire-guided airship specializing in aerial work in mountainous or sloping areas, especially for timber skidding. What makes it distinct is that a pilot flies it to its operation area, and then it is tethered and wire-guided for the load handling operation. Two versions of the Aerolifter are capable of transporting loads weighing 2 tons or 4 tons over short distances (around 2 km), tethered to a guiding cable and using the aerostatic lift to climb slopes with no load, then to sustain the load on the descent. In terms of applications, Aerolifter will also allow aerial inspections of high-voltage lines, aerial tracking and locating in altitude, aerostatic crane, etc. The multi-mission airship A-N 2000 is designed to answer to market’s need especially to ISR (intelligence, Surveillance, Reconnaissance), point to point load or larges dimensions antennas transport. 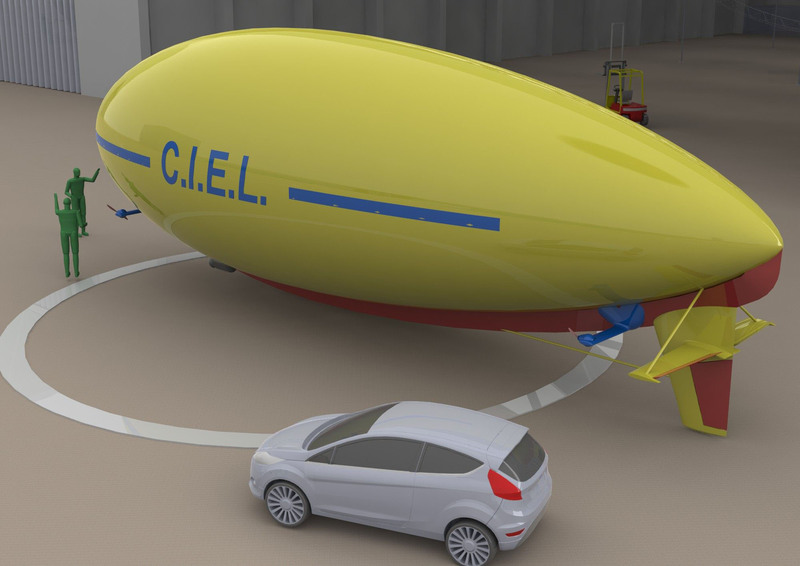 This project, carried out by CIEL, aims to develop, commercialize and operate a drone airship (total weight ≤ 150 kg) with a carrying capacity of 70 kg and flying over long distances over several days. This unique project makes it possible to meet the needs of those who wish to use drones for long-term missions (several days) and / or requiring a significant payload (several tens of kg). This drone is designed to be easily removable and transportable, allowing access as close as possible to the area to be flown if necessary. This drone also provides unsurpassed security for goods and people on the ground compared to conventional drones (fixed or rotating wing drones).